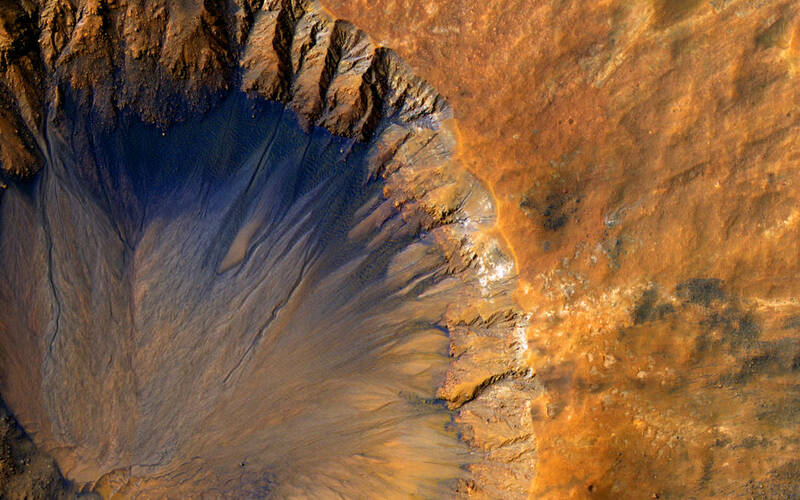 June 8, 2015 – The High Resolution Imaging Science Experiment (HiRISE) camera aboard NASA’s Mars Reconnaissance Orbiter acquired this closeup image of a “fresh” (on a geological scale, though quite old on a human scale) impact crater in the Sirenum Fossae region of Mars on March 30, 2015. The University of Arizona, Tucson, operates HiRISE, which was built by Ball Aerospace & Technologies Corp., Boulder, Colorado. The Mars Reconnaissance Orbiter was built by Lockheed Martin under the supervision of the Jet Propulsion Laboratory (JPL), a division of the California Institute of Technology in Pasadena, California. JPL manages the Mars Reconnaissance Orbiter Project and Mars Science Laboratory Project for NASA’s Science Mission Directorate, Washington.